"Calculate the medical damage, and let them fall. How else are they going to learn balance?" So asserted Julia Steiny, a columnist for Education News, at a recent community discussion on "Kids, Play, and Risk" at the Providence Children’s Museum. Though some parents might bristle at Julia's suggestion, she’s right. 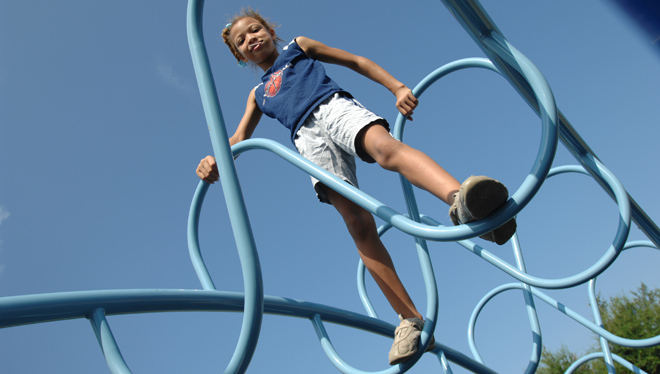 When we don't allow children to take acceptable risks in their play, we take away crucial learning opportunities. Risk teaches them how to fail and try again, test their limits and boundaries, become resilient and acquire coping skills, interact in groups, and negotiate rules amongst themselves. The benefits of risk are something to think about, particularly when confronting stories of schools banning running at recess, towns outlawing tree-climbing or fort-building, health departments issuing warnings on classic children’s games, or even grappling with our own inclinations to intervene immediately when we see children rough-housing. Maybe we should turn to mother Angelica Almlid Barrows, whose children attended an outdoor preschool in Norway and were exposed to a natural environment that provided for acceptable risk. Angelica said, "perhaps because of these experiences, my kids are rarely bored and take on mental and physical challenges – learning a new skill is something they have patience with, and confidence they will succeed." 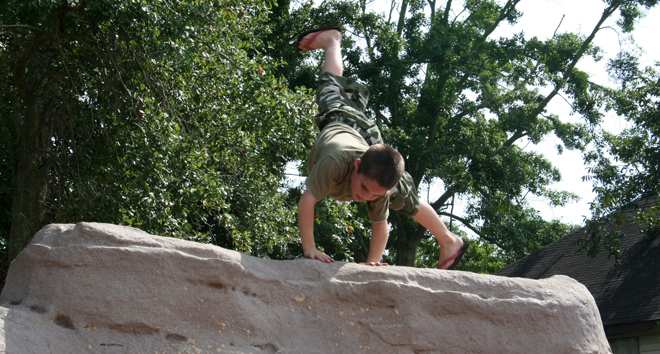 Do you let your kids take risks? How would you define an "acceptable" risk? For more on the community conversation and the benefits of risk-taking, visit the Providence Children’s Museum’s blog.